Automate appointment booking and scheduling with Setmore, your free online scheduling assistant. Take appointments from customers online, send timely email notifications and reminders, and generate invoices for appointments, all in one powerful application. Running your business demands your complete focus, and the right digital scheduling assistant can be a lifesaver. Setmore helps you transition away from pen-and-paper scheduling while empowering your customers to book their own appointments, day or night and even during the holidays. A customer-facing online booking page where your customers can schedule their own appointments with your business. A digital assistant that will store and sync your staff, customer and appointment data across multiple devices. An easy to use system that supports regular appointments, recurring appointments, classes and private appointments. 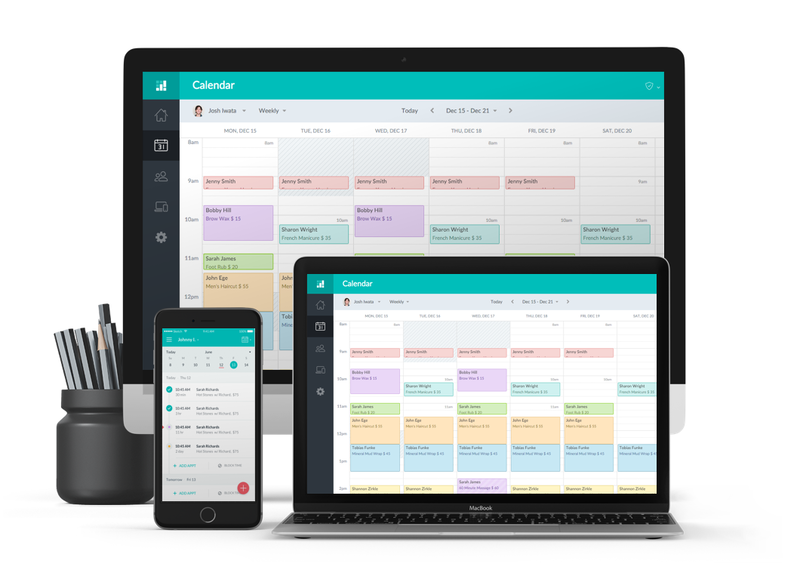 Setmore is a modular scheduling assistant that you can combine with other popular software offerings to create the perfect solution for your business. We offer integrations with Google Calendar, Office365, Facebook, MailChimp, Zapier, Salesforce, Stripe, Slack, Zendesk, and others. Get your staff on the same page with their own scheduling calendars, all synced up to a single account. With Setmore, your team members can promote their own appointment openings with a direct link to their personalized work calendar. As owner or manager, you’ll have the ability to control access levels for added security. Color-code your appointments and make them easy to distinguish while adding an explosion of color to your Setmore calendar. You can also enhance the visual appeal of your customer-facing Booking Page by adding pictures of your staff and services, or by importing and displaying your business’s Instagram photos. Prevent no-shows from cutting into your profit margins with automated email and text/SMS appointment reminders. You choose the most effective reminder lead time and customize the message content. Even your staff can get email notifications when an appointment is booked, edited, or cancelled. Setmore is free to use for as long as you want, with the option to upgrade to Premium for advanced scheduling assistant features. At $25 a month or $199 billed annually, Setmore Premium is a pocketbook-friendly business growth engine.